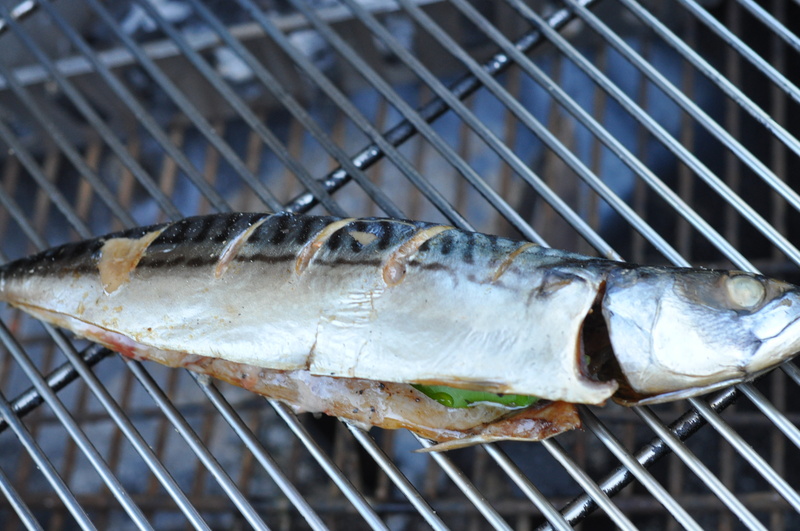 Smoking mackerel at home is easy if you have a kettle style barbecue. All you need in addition is some smoking wood chips or sawdust which is easily available. Don’t use softwood chips as they tend to impart a bitter flavour to the fish. 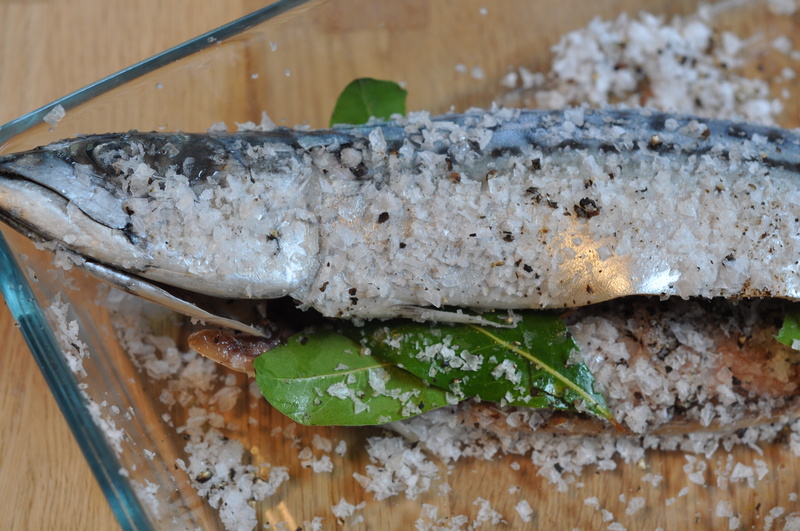 As with all smoking of fish or meat the fish first needs to be cured using salt or a brine solution. 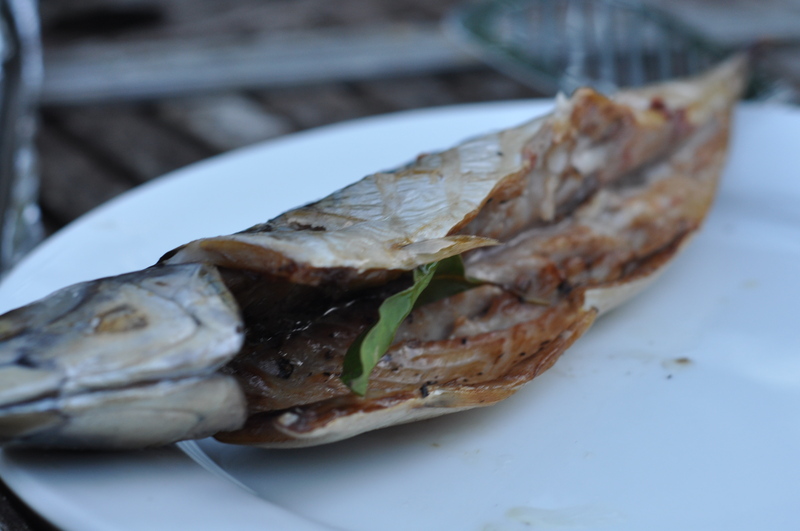 Slash the skin of the mackerel to allow the cure to penetrate and rub the cure inside and out. Cover and refrigerate for 30 minutes to an hour to allow the salt to draw water out. Then rinse and soak in cold water for 10 minutes to remove surface salt. While you are doing this light the barbecue either with wood or coals, with coals you will need to add wood chippings to create the woodsmoke. Position coals away from the centre, you want indirect heat rather than direct, so close the lid of the bbq and allow the smoke to penetrate the fish. Hot smoke for about 20 minutes until cooked. Eat immediately with brown bread and a squeeze of lemon.